Sgt. James S. Adams, son of Mr. and Mrs. Omer Adams, Caddo, husband of Helen Moore, attended Caddo High. Entered Army AC in 1942, trained at Sheppard Field, Teas, Chanute Field, Ill. and New Mexico. Served in England. Awarded ETO with 3 Battle Stars, GCM and Unit Pres. Citation. Discharged in 1945. 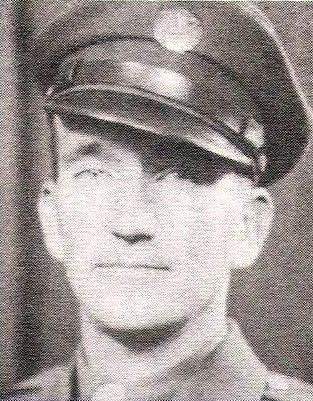 Re-enlisted in 1946.